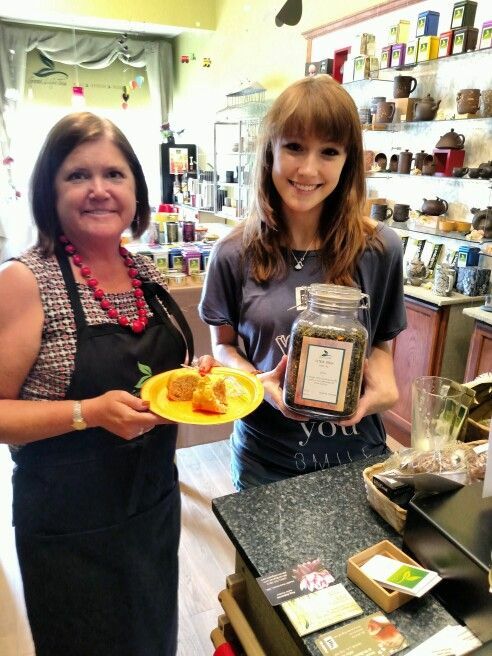 She just walked into our store and said, "I made some cake for you with Citron Green Tea." We were stunned when we tasted it. She had just made it and it was still warm. Wow. Delicious. And she calls it Good Life Cake ! We sent her home with some Matcha and said try cooking with this too. We'll keep you posted to see what Chef Mary does with the Matcha. Look at Susan. She is all smiles.